3M Peltor E-A-R Buds replacement tips are original equipment from the manufacturer so you can be sure they will fit your earphones just like new. We offer three kinds of tips, all in packs of three pairs each. NOTE: The ultrafit tips produce an NRR of 26 when used with the original EARBUDS2600N and an NRR of 20 when used with the new EARBUD2600N. 3M Peltor E-A-R Buds EARBUD2600N and EARBUDS2600 Replacement Tips (Pack of 3 Pairs)5CJOctober 13, 2017I purchased these to replace a set of silicone multi-flange tips. The silicone tips worked fine but lost their effectiveness over time. These tips work great and completely fill your ear canal to block out external noise so your earbuds can work their best. Will probably stay with this style in the future. 3M Peltor E-A-R Buds EARBUD2600N and EARBUDS2600 Replacement Tips (Pack of 3 Pairs)5jbAugust 9, 2014The best, been using for ipod and sports radio in manufacturing environment,with zero loss of hearing. Use them for riding also, best so far that stay in place. 3M Peltor E-A-R Buds EARBUD2600N and EARBUDS2600 Replacement Tips (Pack of 3 Pairs)5Randi CMay 6, 2014These are the bomb. I have hearing problems and needed ear buds that were better than 24 DB noise reduction rating, had a tube for sound to enter, and would fit small ear canals. I got some cheap Philips ear buds, rolled their rubber piece over the stem of the skullscrews and voila. Most ear plugs bunch up in a before entering my ear canal. because these have a solid stem tube with a little moisture they slide right in. The ear bud sound transfer is excellent. I would get lots of them as they will soil. Structurally they show little wear over a month of use. 3M Peltor E-A-R Buds EARBUD2600N and EARBUDS2600 Replacement Tips (Pack of 3 Pairs)5WayneMarch 20, 2014The best,been using for years for ipod and sports radio in manufacturing environment,with zero loss of hearing. 3M Peltor E-A-R Buds EARBUD2600N and EARBUDS2600 Replacement Tips (Pack of 3 Pairs)5Jerry L. AnspaughJanuary 9, 2014Great! 3M Peltor E-A-R Buds EARBUD2600N and EARBUDS2600 Replacement Tips (Pack of 3 Pairs)5EugeneAugust 20, 2012Excellent deal. Strongly recommend! 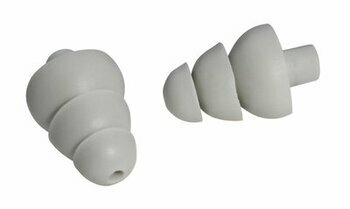 3M Peltor E-A-R Buds EARBUD2600N and EARBUDS2600 Replacement Tips (Pack of 3 Pairs)5JimMarch 12, 2012Great product and excellent service. The Store where I bought the Orig. set told me I had to buy a complete new system, and here yes you can buy replacements. At service. Definetely buy again.